ABCmouse.com’s kindergarten math curriculum prepares young children for first grade by teaching them to count to 100, to recognize and use basic geometric shapes, and to recognize and create patterns. It also introduces children to the concepts of addition and subtraction and teaches some basic math facts. To teach these topics, the site offers many online math books, math games, math puzzles, and math-related art activities. 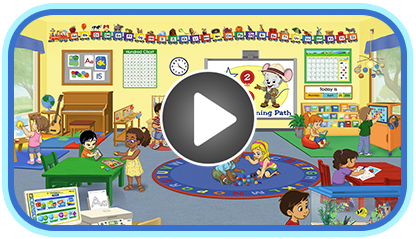 As in the preschool and pre–k levels of ABCmouse.com’s online math curriculum, numbers are taught with the objective of developing children’s number sense—that is, being able to relate number symbols to the amounts that they represent.